If the previous Governments were serious about investing into health facilities, then we would not be standing here says Minister for Health and Medical Services Rosy Akbar. 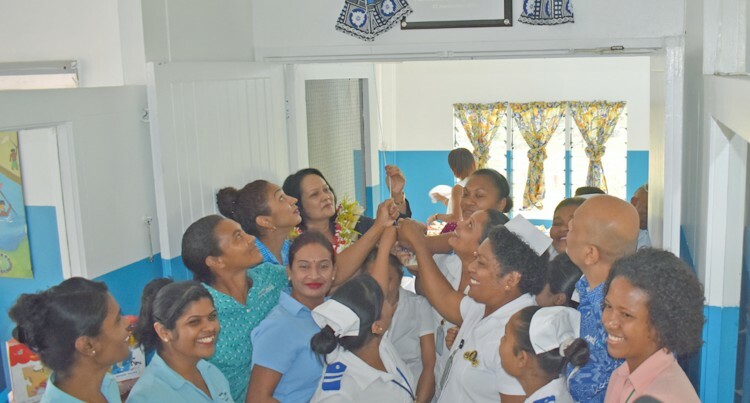 While officially handing over the refurnished children’s ward at Savusavu Sub-divisional Hospital in Savusavu yesterday, Ms Akbar said during her numerous visits to some hospitals, health centres and staff quarters she was shocked to see some facilities deteriorating. The refurnished ward wasfunded by the Australia and New Zealand Banking Group Limited (ANZ). “We need to provide you with decent accommodation so that you can work well,” Ms Akbar said to the doctors and nurses at the hospital. “I don’t blame you or anybody. “The staff regardless of the facilities they are exposed to, are doing a wonderful job. “Unfortunately some people do not want to see the progress we have made in terms of health. “Some people continue to criticise the health system and label the health system as a pathetic system or failed system. “I don’t agree with that. “These people really need to open their eyes and see what progress we have made,” she said. “Unfortunately there are structural issues, maintenance issues because previous Governments have not been serious about it. “This year’s budget has given us an adequate allocation so we will be doing maintenance work, however, it cannot be done today or overnight. Meanwhile, Ms Akbar commended and thanked the staff of Savusavu sub-divisional hospital for keeping the hospital clean. “The efficiency and productivity of the staff as you enter through the door is very important,” she said. “When I entered this hospital I found it was very clean and patients smiling and I thank you all for keeping up the good work.